In case you are wondering why the apples from your apple tree are on the ground partially eaten, maybe birds are eating them. 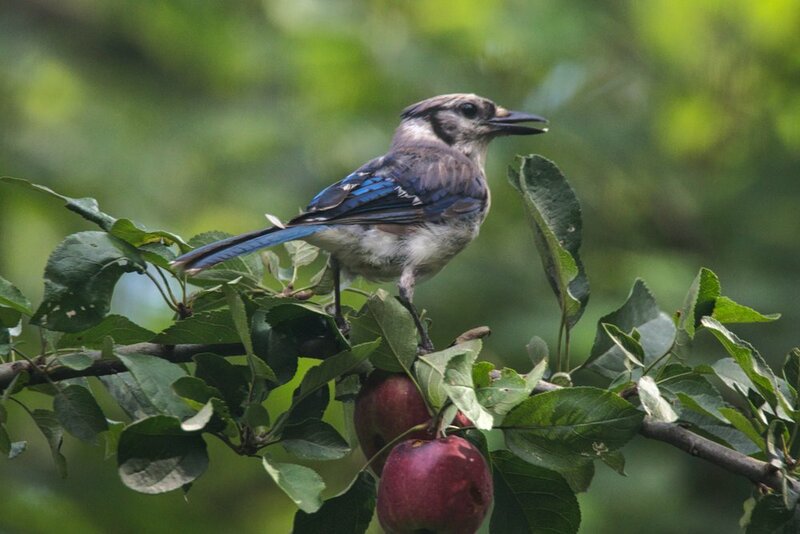 Birds including American Robin, Gray Catbird, House Wren, Northern Cardinal, Tufted Titmouse, House Finch and many more love fruit. The main culprit in my yard seems to be the Bluejay.